Even great web development solutions providers experience difficulties from time to time. And most of these problems involve their clients. The most common problems include: low funding from the client’s end, online complications, and many more. Although these problems are considered inevitable, the blame still falls on the service provider. Isn’t it much better if we understand and hear them out first before we strike them with the hammer of justice? You get what you’re paying for - So, there you are, and you’ve noticed that it's not going smoothly as you have predicted. But my friend before you strike them with the hammer, is it them or is it you who's at fault? Did you decline maintenance payments from the previous months and ordered them to continue? They are paying numerous softwares regularly so as to obtain outstanding results for you. If the funding required for your website's maintenance runs low yet you refuse to pay for it then what you pay is what you get. Web development services ain't magic - Seriously, did you really think that as soon as you give them your preferred design concept they'll be able to finish it in a single day? 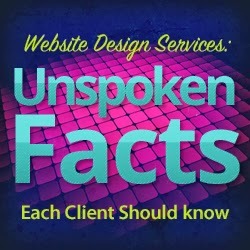 If you desire a website that operates properly -it will take time. Every Web Browser doesn’t treat every websites the same – This is the most tedious work developers undertake. It’s not that easy to formulate several solutions to your site alone. They have to synchronize all pages of your site to all browsers so that they are presentable when online surfers visit your site regardless of what browser they are using. Remember, each web development company’s clients are duly taken care of. They are doing the best they could since they wanted to impress you and not the other way around. Listen, trust them, and wait for the end result. Should You Create a Sitemap? Definitely!